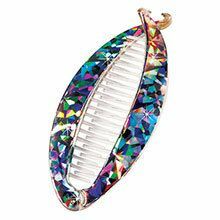 Tame your tresses with this colorful banana comb clip! 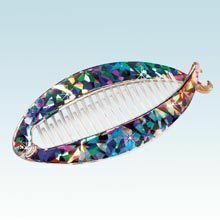 Brilliant rainbow hues dazzle along the sides of the comb and add a bit of panache to any style. Comfortable fit with strength to hold even the thickest of manes. Our Holographic Hair Clip has a hinged style plastic clip is self-locking. 2½" x 5½".